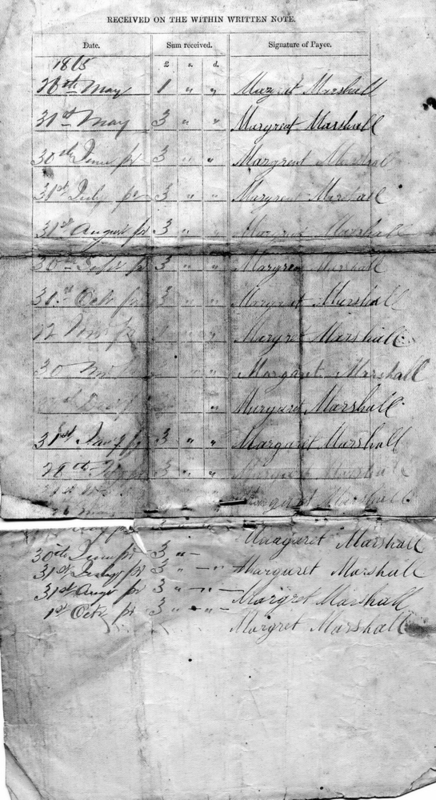 John MARSHALL - Mate of the "Queen"
On the 19th of October 1866 the â€œPeterhead Sentinelâ€� reported the safe arrival of the seal and whale fishing vessel â€œQueenâ€� after an absence of nearly 19 months. The Master was Captain George Brown and the Mate was John Marshall. 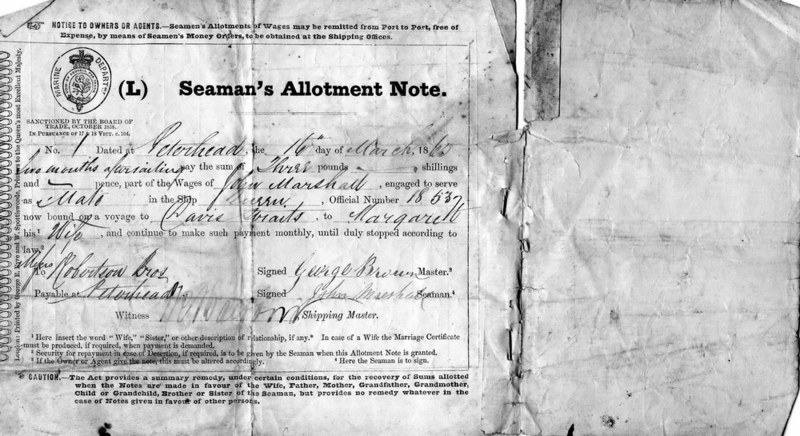 This ill fated voyage is interesting, not because they returned clean ship and not only because we have the original Allotment Notes, Discharge certificate and Pay Bill but because the way in which the crew were able to survive. arrived here on Sunday last, after an absence of nearly 19 months. When you get to the water abreast of the ship you will keep the floe edge on board westward util you meet in with loose ice. Then strike across the sound until you meet with Fast Ice . Proceed southwards until you open out (or come abreast of) Button Point, you will then launch your boat into the crack reaching across the Bay. It is more than likely that you will find natives:- communicate with them if possible, first , and hire their sledges to assist you: or go in with a sledge first to ascertain the required direction to proceed with your boats. It is more than likely you will find a crack from the floe edge into the point, but employ the natives in either case, for which you will get muskets and shot with you. 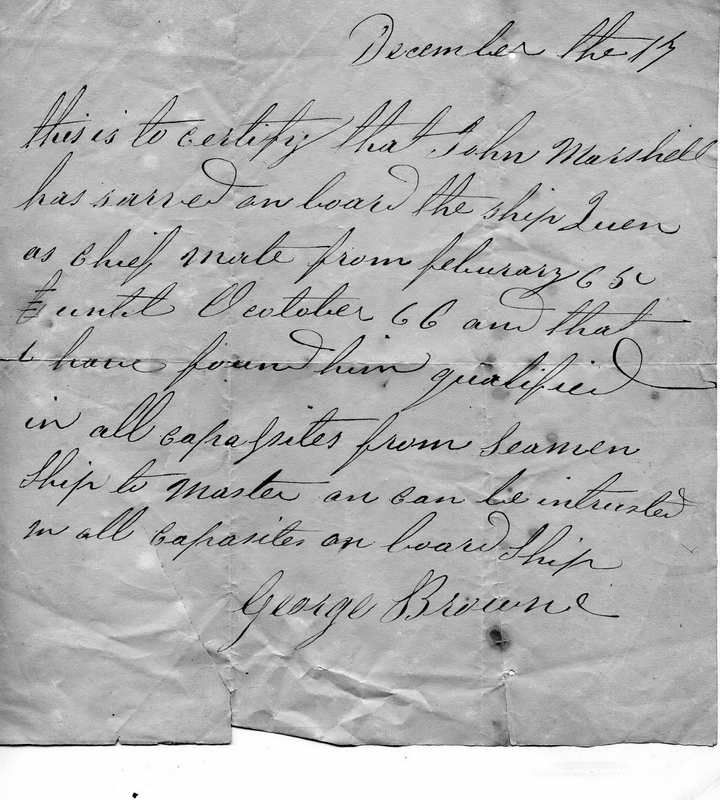 This letter, in the DUE Miller papers confirms the story that John Marshall was sent from his ice-bound ship, the Queen, to find food from a cairn left by his Father, John Marshall, during the Franklin Rescue Expedition in 1850/1851. depending on whether the retail price index or the GDP deflator is taken as a base. 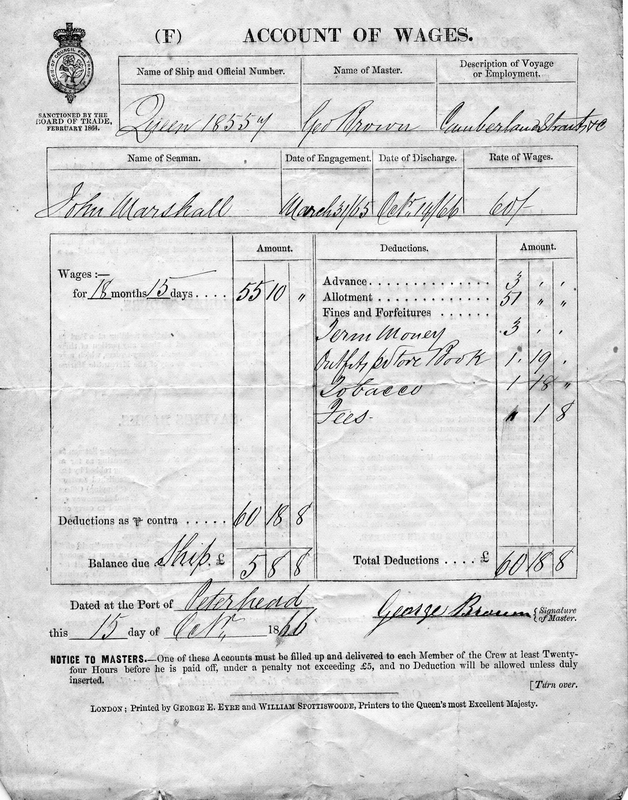 This is John Marshall's Paying Off Wages Slip.